Price $309.99 + Free Shipping and Laptop Accessory! NOTE: For the vehicle base only see the RAM-VB-168 by clicking here. 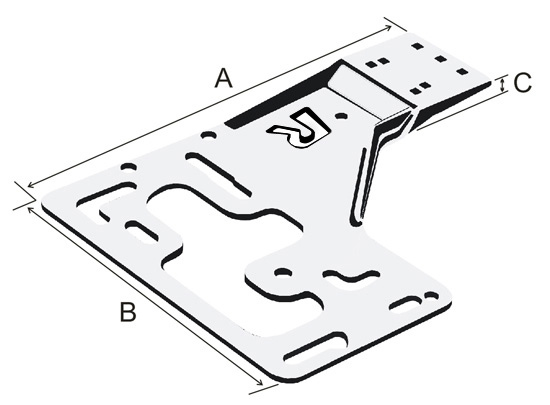 Special Requirements: If the heater box in under the seat, the installer may need to drill holes in the base to accommodate vehicle mounting holes or studs. Also, the heater box may cause the system to sit higher than normal. Pole may be cut down by installer to lower kit. This will not void the warranty. May not work with swivel style seats for big rigs. NOTE: Picture above shows 18" of total swing arm extension. 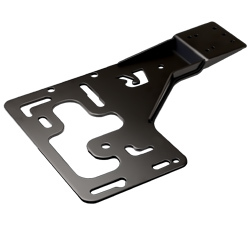 If you only need 12" of swing arm extension please see the RAM-VB-168-SW2. Most drivers prefer the 18" of extension. 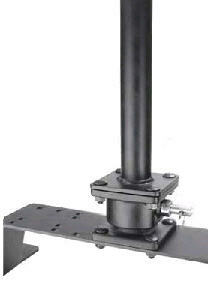 Swing Arms: RAM-VB-110-1U and RAM-VB-109-3U provide 18 inches of horizontal swing arm extension. 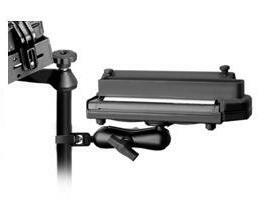 Upper Tele-Pole: RAM-VP-TTM12U 12 inch male upper tele-pole. 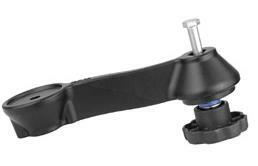 Lower Tele-Pole: RAM-VB-TBF18U 18 inch female lower tele-pole. 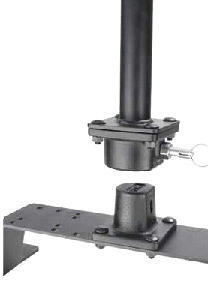 NOTE: Tele-poles feature a telescoping vertical height adjustment range from 19 to 28 inches. Vehicle Base: RAM-VB-168 no-drill base for the specified vehicles. Seat Configuration: Bucket/bench seats only. Mount/Base Placement: Passenger side on the floor, under front seat. 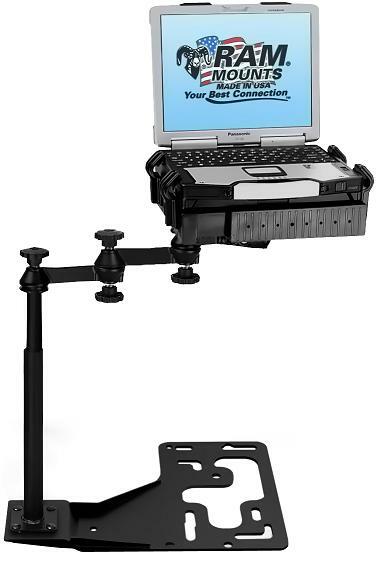 Tough Tray Secure-N-Motion Kit Vehicle Printer System for Brother PocketJet Brother PocketJet 3, 3 Plus, 6, 6 Plus, 7 & 673 Vehicle Printer System for HP-450, HP-460, HP-470 Officejet 100 & Printek Field Pro Universal Spring Loaded Tough Tray II for Medium Sized Devices (Netbooks, iPads, Tablets) - Fits Device Width from 8.56" to 11.12"
Price $240.49 + Free Shipping and Laptop Accessory! Price $225.99 + Free Shipping and Laptop Accessory!